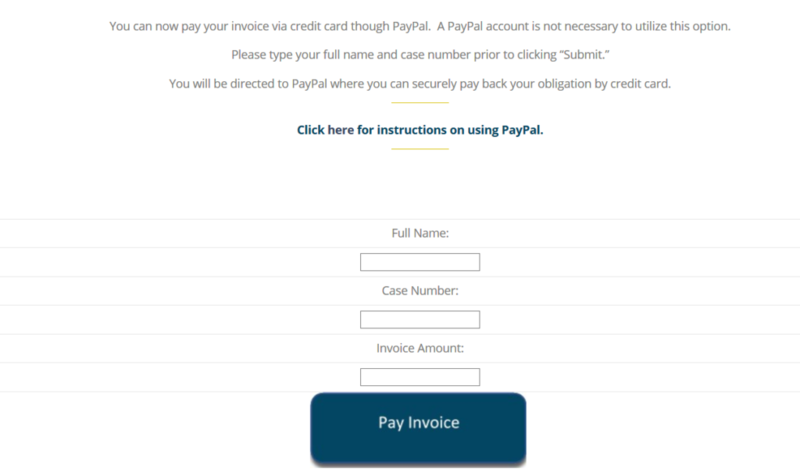 These instructions will guide you through the process of paying your invoice through PayPal’s secure site. Enter your full name (first & last), 7 digit case number, and invoice amount, then click on the ‘submit’ button. 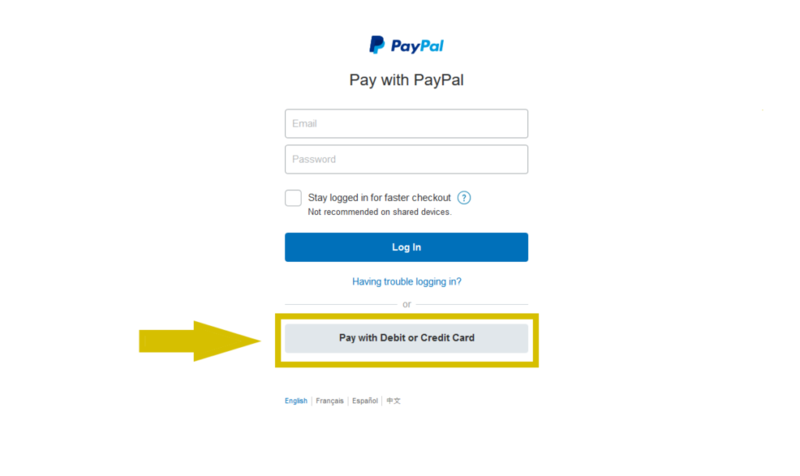 To continue without a PayPal account click on the “Pay with Credit or Debit Card” option. This will allow you to checkout as a guest without creating or using an account. 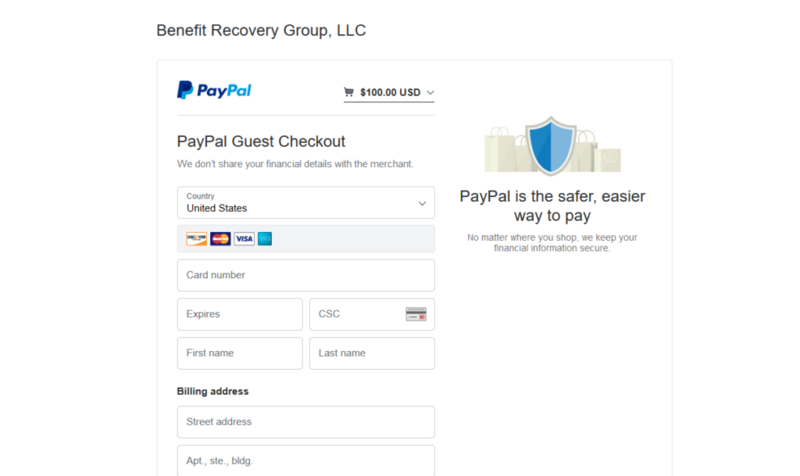 Enter your payment information and continue through PayPal’s secure transaction system.